Results from a recent Phase II clinical trial found that adding bevacizumab to the common mesothelioma treatment combination of gemcitabine and cisplatin did not improve survival times for malignant mesothelioma patients. The study, headed by mesothelioma specialist Hedy L. Kindler, M.D., and published in an upcoming issue of the Journal of Clinical Oncology, was conducted by researchers from 11 of the country’s top cancer research facilities. The double-blind, randomized, placebo-controlled test was designed to determine whether bevacizumab could increase the effectiveness of gemcitabine and cisplatin, two chemotherapy drugs that have been used to treat mesothelioma for years. Bevacizumab is known to be an anti-Vascular endothelial growth factor (VEGF) antibody. VEGFs assist in the development of blood vessels, cell growth and division and are considered signal proteins. Researchers were hopeful that the combination treatment could extend survival times of patients with this aggressive cancer. Mesothelioma affects nearly 3,000 Americans each year and has no known cure. Asbestos is the only known cause of this disease. One hundred fifteen patients were enrolled in this clinical trial, but only 108 were evaluable. At the 11 different study locations, patients received 1250 mg of gemcitabine, 75 mg of cisplatin and 15 mg of bevacizumab. Gemcitabine was administered on days 1 and 8 and every 21 days. Cisplatin was given every 21 days and bevacizumab or a placebo was administered every 21 days for six cycles. From there, bevacizumab was provided every 21 days until the cancer progressed. The median progression-free survival (PFS) time was 6.9 months for patients who received bevacizumab and 6.0 months for patients on the placebo. The median overall survival (OS) times were 15.6 and 14.7 for bevacizumab and placebo patients, respectively. Even though slight increases in PFS and OS were demonstrated in the double-blind study, research metrics determine that the results were not statistically significant. Authors of the study include Theodore G. Karrison, David R. Gandara, Charles Lu, Lee M. Krug and 12 others. Despite these disappointing results, all hope is not lost for mesothelioma patients. Other experimental treatment options have shown more promising alternatives. 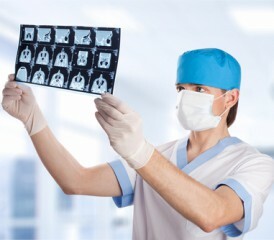 Recent developments in mesothelioma research show bright spots for mesothelioma patients and the entire medical community. For example, mesothelioma experts like Raffit Hassan have stated that breakthrough drugs like SS1 may be able to add months to patients’ lives if correct combinations are discovered. “We’re starting to see some very exciting results,” Hassan said. Furthermore, researchers from the University of Sydney have found that other anti-cancer drugs may also provide the key to treating aggressive diseases and cancers. The study, conducted by professor Des Richardson of the Sydney Medical School, illustrate that drugs can control the spread and growth of cancer cells. “This will present a significant step forward in the fight against cancer and provide cancer sufferers new hope for a better outcome,” Professor Richardson said. Finally, thoracic surgeon Dr. Robert Cameron recently spoke at a mesothelioma symposium about the positive benefits of lung-sparing pleurectomy/decortication (P/D) surgery, when compared to the more-dangerous extrapleural pneumonectomy treatment. “My philosophy has always been ‘do no harm.’ Taking out a lung does harm and there is absolutely no benefit to the patient,” Cameron says Pacific Meso Center website. Clinical trials across the country are continually experimenting with additional mesothelioma treatment options that may one day provide the key to eliminating this rare cancer. Patients should remain positive and proactively seek out treatment options, both experimental and proven, that are suitable to their specific cancer diagnosis.